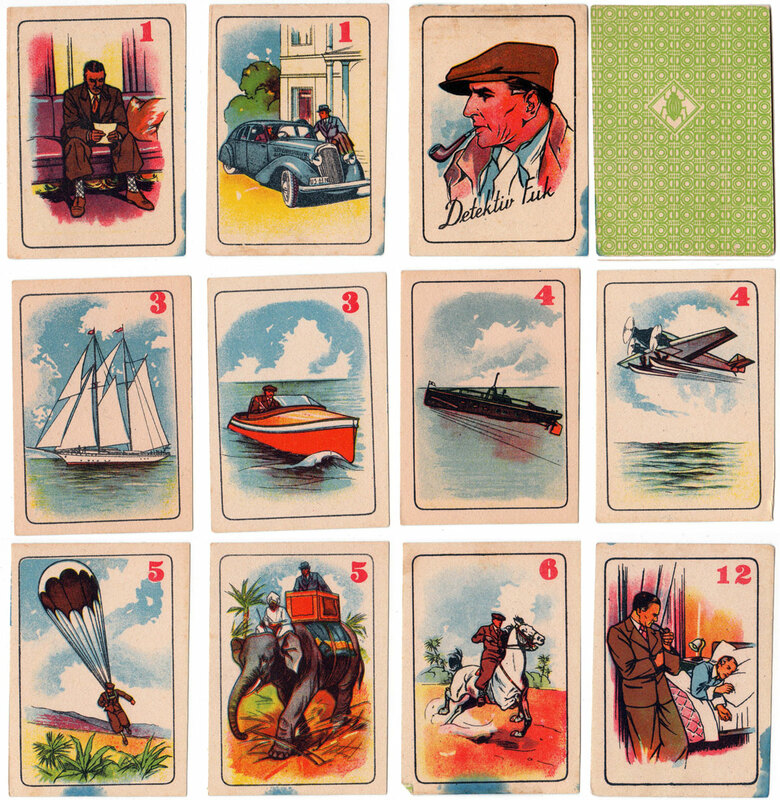 ‘Detektiv Fuk’ card game from the former sovereign state of Czechoslovakia in Central Europe, depicting the detective in various intrepid actions, clearly ‘on the ball’, often smoking his pipe whilst solving mysteries for his multi-millionaire clients. Above: ‘Detektiv Fuk’ card game, depicting the detective in various intrepid actions. Images Rex Pitts.